24 is a groundbreaking and important television series. Beyond the thrills, kills, twists and tragedies is a show that reached a new level of serialized storytelling and set the bar for action and suspense on network television. 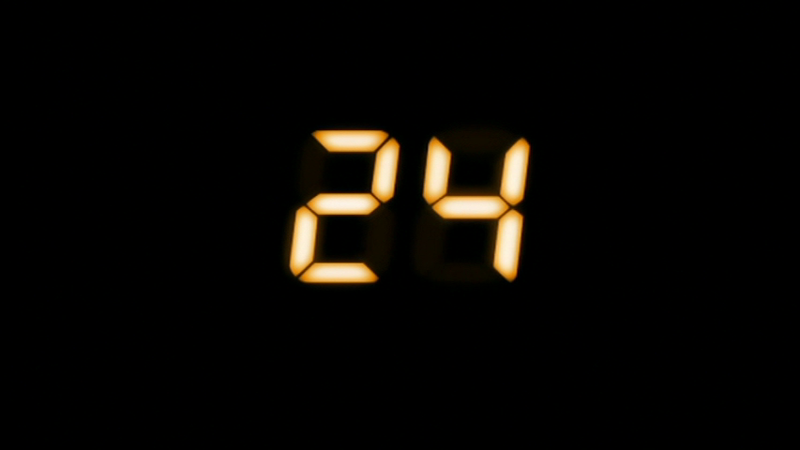 Lasting for 8 full seasons–192 Episodes plus a TV movie–24 is one of the longest-running shows of the past 15 years. Others, like Grey’s Anatomy, NCIS, Smallville, all three CSIs and three of four Law & Orders, may have run longer, but the argument can be made that none of those shows are equally as worthy of contributing to the debatably labeled and vaguely-defined “Third Golden Age of Television Drama” that began with The Sopranos in 1999 and is now fading with the end of Breaking Bad and the impending finale of Mad Men. Perhaps 24 doesn’t quite reach the dramatic heights of those shows, or others like The Wire and Deadwood, or even The Shield, Lost or Battlestar Galactica, but it was always a strong awards and ratings contender and it was just so addicting and fun to watch. Please join us—Patches, Zach, Jeff and MegaMix—as we take a look back at this series, discussing one season every month until the premiere of the new 12-episode miniseries 24: Live Another Day in May 2014. This month’s discussion is focused on Season 4 of 24, which premiered in January of 2005. It contains SPOILERS for the entire series of 24 and strong language. Parental discretion is advised. Discussion occurs in real time. Whew! Season three was good. Like, REALLY good. So, what now? Where do we go from here?